Surfcoast Property Stylist specialise in staging homes and preparing properties for inspection and sale, combining an easy mastery of culture and aesthetics with a clear understanding of the market, all unique to the Surf Coast. An initial consultation provides recommendations to declutter, furnish, accessorise, and make cosmetic improvements with the goal of maximizing ROI. The vendor is coached on how to make over their personal home or investment property into a market-ready product. When preparing a property for sale, we develop look and feel, capitalising on lasting, rather than just first, impressions. We make each room work to entice the beholder, optimising the use of found furniture; adding fresh flowers, plants and objets d’art for color, pattern and texture; and creating respite in clean open spaces. For vacant properties, a free quote during an on-site meeting with the real estate agent and the vendor in which to plan the most suitable strategy for presenting the property and to discuss furniture and accessory selection. "EARTHY, NATURAL INTERIORS INSPIRED BY NATURE" Investing in Property Styling attracts a broader market and more potential buyers to your property often leading to a quicker sale and higher sale price.We offer a boutique styling service as well as Interior Design and Trade service for your pre sale spruce up! 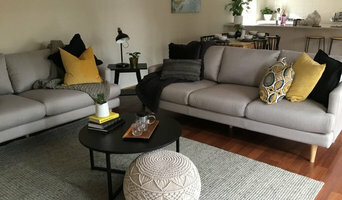 I am a unique business which incorporates styling and staging for all real estate including short term rental platforms such as Airbnb. I also specialise in the cohosting and management of such properties, with added consultation, check ins, and sourcing cleaners. First impressions count! Capturing the attention of potential buyers by presenting your property with maximum impact is crucial in today's competitive market. When selling your property, it needs to stand out from the competition. Prospective buyers need to be able to imagine themselves living there. Your property needs to be presented in a way that aesthetically connects with buyers whilst reflecting a lifestyle they aspire to. Colour Pop Interior design can organize the complete presentation of your property, including quality furniture hire, décor & artwork. CPID source's stock from Design Emporiums & each piece is individually hand picked. By investing a small amount of capital in your property's presentation will return thousands more in your end sale result. Before you chose your Real Estate Agent, CPID can style & prepare your property. Your Agent will value your property more highly & subsequently aim for better results for you. CPID offers a comprehensive Interior Design & Decoration Service that takes all the hard work out of renovating, updating and styling your property. Achieve the home you have always dreamed of. Bringing all the elements together in a seamless, personalized design is what we do best. Please see our Instagram account colourpopinteriordesign for our latest work. At Urban Classic & Contemporary Furniture, you’ll find the best range of classic and contemporary furniture. Our range of Outdoor and Indoor furniture is going to create a lasting impression on you. Come visit us in the store or shop online. Why pay more for your inside & out electrical and furniture solutions! We also provide property styling & decorating to suit all budgets. Selective Interiors have been styling properties for sale for over 15 years! Based in Williamstown and servicing all over Melbourne, Selective Interiors are experts in providing specialist property styling solutions that will compliment your home and appeal to a broad range of prospective buyers. Our team is made up of qualified interior designers who are passionate about helping you to achieve the maximum sale price for your property. To arrange a competitive quote please head to our contact page. We provide free quotations and are happy to quote from photos or floor plans. 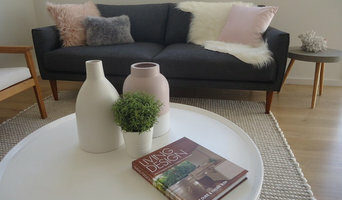 QWS Ezi Home Staging, supplies the customer with the information needed to sell, design or transform their property into a home that all would like to own. We can help you increase your chances of selling your home at your budget. 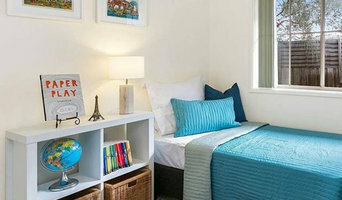 The Home Stylist or Stager works to prepare your Geelong, Victoria home for the Victoria real estate market. Find a home stylist or stager on Houzz. 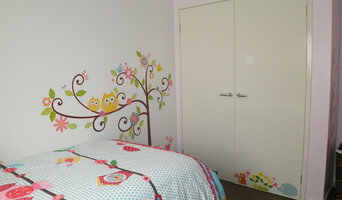 Narrow your search in the Professionals section of the website to Geelong, Victoria home stylists. 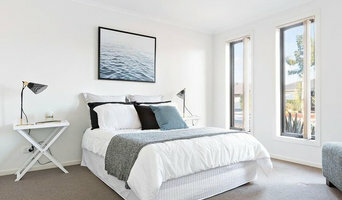 You can also look through Geelong, Victoria photos by style to find a room you like, then contact the professional who styled it.